Your home office will a place you will want to work in everyday with furniture from Ramsey Furniture and Mattress. Create a spacious and organized work space in your home to take of your business in comfort. We have everything from desks and chairs to storage solutions and cable management systems. 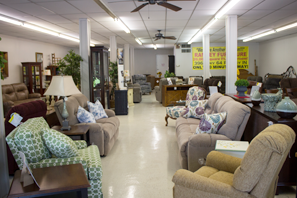 Call or visit today to learn more about our selection of furniture.